As parents we have this in common: a deep love for our children and a strong desire to see them succeed in life. We pray for the blessings of a strong faith, a happy family, and great financial security for all our children. We would like to believe that modern education shares our vision, but the reality suggests otherwise. A theory or method, regardless of its speaker’s titles and degrees or how eloquently he argues its case, is only as good as the results it produces. If we use results to measure the effectiveness of the United States Education System, we would be forced to conclude that it is one of the worst models ever conceived. There is no need to remind you that third world countries, where the students scribble their arithmetic in the dirt, are outperforming us academically. There is no need to tell you what your eyes can see plainly for yourself – that our system has grotesquely failed our children. The fact that the United States spends more money on education than any other nation in the history of the world, the fact that the United States employs more educators than soldiers, the fact that the United States takes thirteen years of our children’s lives and devotes them solely to education, makes our failure all the more humiliating. What’s worse than bad academics? However, what makes the education system far more dangerous than mere academic incompetence is the fact that under its careful watch young men and women are increasingly becoming social degenerates. Instead of acting more and more like adults as they approach their graduation date, our young adults act more and more like wild self-indulgent children. In place of independent adults, the school system increasingly graduates lazy, ignorant, violent, incompetent, insecure, drugged-up, sexed-up, lost and confused boys and girls. This is the reality. This is what we are up against. So, whether we choose public schooling, private schooling, or homeschooling, one thing is certain – we must hold ourselves solely responsible for the outcome. Our children need highly involved parents, more than they need smaller classes, newer books, better uniforms, personal tutors, or state-of-the-art facilities. We are their best hope. The first thing we must do is decide what the True Aim of Education is and then commit to achieving that aim. If a way cannot be found, we must make one. Read the secrets and psychology behind America’s Public Schools! Very interesting! I agree, something needs to change. 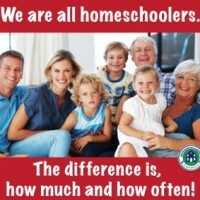 What are the pros and cons of public, private, and home school methods of education? Ouch! Pretty strong . . . and rightfully so because it is true and it shows that you are passionate about it, however, it may help to put a little salve on the wound after hitting us over the head so we can be more inclined to support your ideals. Just sayin it comes across so strong, (from my perspective) that it may alienate some that would be potential supporters if after the strong opening, you would smooth it over some with “now let’s be realistic” type dialog that might create more buy-in. We definately don’t want to alienate anyone, but we do feel the education system has some serious problems good parents should be aware of. Our intention is to encourage parents to take an active role in their children’s education. We will have some practical advice in our next few posts, but will also continue to call out the failures of our education system. I tend to disagree with “anon.” Our educational system has been lacking for quite some time, a fact that is neither pessimistic nor alienating in any way. It’s the cold, hard truth. We cannot approach this issue as a “blanket” issue; throw some more standardized tests, make our classes smaller, etc. As someone who is both a (hopeful) educator, as well as an active parent, I agree; something must be done! Legislation is out there, but I believe this issue is so much bigger than laws and taxes. As parents, we must understand that our children require educational “nurturing” outside the classroom. We cannot simply adopt a “set it and forget it” approach to our children’s education. I am my child’s first and most important teacher. you are alienating children who don’t have access to this type of parent. you are making them sound hopeless rather than individually hope filled. I feel for those students who don’t have involved parents. That’s the point of this blog, to encourage those uninvolved parents to become more involved and to give them tools they need to take a more active role. Wow. It’s interesting to see that parents today are not taking any responsibility for their “wild, self-indulgent children.” Be careful when implying that teachers are the ones who are raising your kids. While we may be “graduating” these “lazy, ignorant, violent, incompetent, insecure, drugged-up, sexed-up, lost and confused boys and girls” you are the ones who are raising them. Stop giving teachers so much credit for your spoiled children. Also, before you begin attacking the school system, you need more information. In the past, our schools catered to a whole different “breed” of children. As society began raising needy, spoiled, and entitled children, our schools were not designed to effectively teach these kids. What people need to remember is that we did not raise your kids- you did. Now that we have a country full of these wonderful little angels, our schools are reforming in order to meet the new generation’s needs. It is not our fault that these kids are sent to us the way they are. Teachers are working with what we’ve got, which in today’s society isn’t much. Before criticizing the education system for these kids, why don’t you start with the parents out there who are raising them. Again, we are in the process of reforming and there are some great things happening in our schools right now. Take the time to find out what they are before criticizing the wrong source. I totally agree. Parents, not the schools, are responsible for the outcome of their children. The intent of this blog is to encourage parents to become more involved – not less. Far too often, parents totally rely on the schools to raise their children. When the school system fails, the parents blame the schools. That said, schools do bare at least some of the blame. I know several teachers, including my husband’s mother, and they are the ones telling us that the school system is broken. Also, I really don’t blame the teachers at all. Britton’s mother is a great teacher. It is the system, and often administrators, that hinder progress. Both students and teachers are victims of a failing education system. Students aren’t getting what they need and teachers have their hands tied. You do agree that the schools need reform, right? And I agree that parents ultimately need to hold themselves responsible for the outcome of their own children. So, at the end of the day I think we agree. I really appreciate your input, and thanks for being involved. We need more passionate teachers like you. gigetiro has made an excellent point. We homeschool our kids and are aware of the flaws in the school system. With a critical nature, it’s easy to find fault in many places but I am most aggrieved by the failings of parents. Where we live, we see parents birthing their children and then farming out their upbringing to daycare, preschool, school and then in the evening to coaches & instructors. Kids have very little time to just explore, for free play and learning to entertain & discover on their own, or spend time as a family. Parents work long hours and commute & kids are constantly engaged by extracurricular activities or entertained by their electronic devices. Parents become permissive, often indulge their kids whims or with gifts just to alleviate their guilt. They pass their kids around to everyone without taking responsibility for them, often, later surprised that they don’t know their own children. I am not intending to hack on working parents who have to rely on daycare or have no choice but work long hours. And there is nothing wrong with extracurricular activites nor are we anti-video game, etc. But all combined its too much- there needs to be balance and parents need to engage. 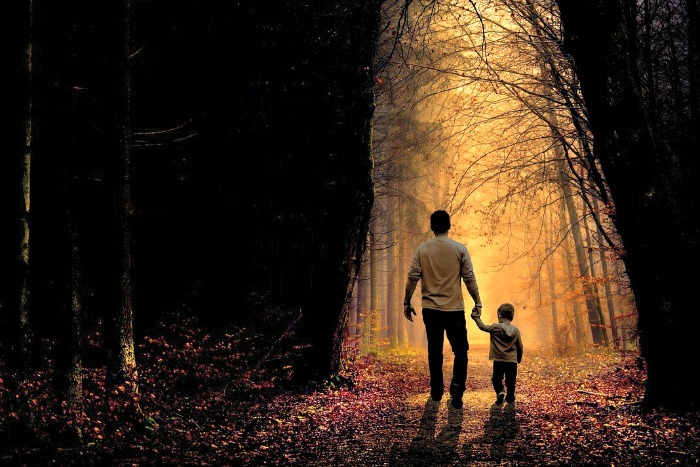 Parenting requires a commitment and yes, it’s hard but if people aren’t up for it, why’d they sign up for it. Parents need to participate in the raising of their children. Cred, you have made a great point too. We fill our lives up with all of these things that don’t really give us anything meaningful in return. Investing in our children is so important and when we do it right, great things happen. Thanks for your wise words. Sorry, anonymous got my feeling stirred up but Gigetiro2012 inspired me to vent. 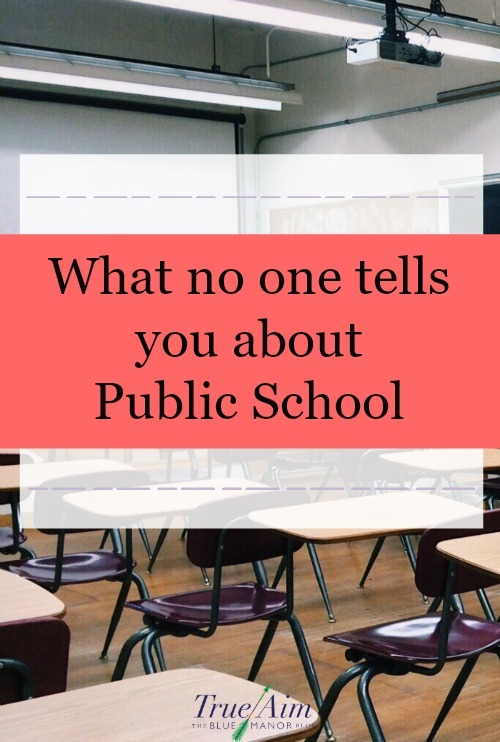 As a parent I vowed not to let what happened to me happen to my children only to discover how tricky and insidious the public school system really is. I know they may not all be, but the vast majority must be considering the stats and news reports. I know it’s foolish to keep blaming the parents all the time. Totally Agree Still Hurting. There is only so much parents can do when their children are in school. 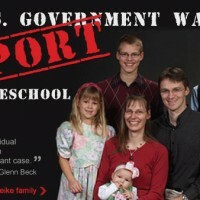 I recommend homeschooling your children and I’m sorry that those things happened to you! However, to the parents who absolutely can’t homeschool, I just want to encourage them to do the best they can at being involved and aware of what they are dealing with. It’s nice to teach our child not just about school but also about some activities involving faith like the one shown above. Anyway, have your child experience Montessori Environment. Excellent!!! I totally agree with you in every aspect of this. We must be responsible for training our children. Thank you for writing such a compelling post. 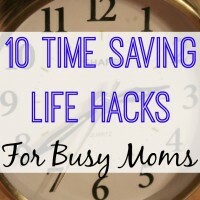 And thank you for linking up at Mommy Teaches! Wow, what powerful words! I completely agree with taking back our children’s education. I plan on homeschooling because I feel that the public school system is totally broken. I don’t want other people’s children (often latchkey kids) raising my child. Thanks for taking a stand! Thanks for your support! It is nice to find someone who has similar views. We are definitely in the minority on this one. Your last paragraph brought tears to my eyes, very well said! Thank you Tara! I’m glad you are passionate about your children’s education too. I firmly believe that supportive, loving, and encouraging parents are far more important to the overall well-being of our children than any education system could be. Found you through Bloggy Moms. You hit the nail on the head with this one. I, of course, have a lot of involvement with Will’s education but with my other 2, I ‘butted in’ when I thought I needed to, even when my oldest was in high school. At the time, it was not appreciated but I think he finally ‘got it’. My youngest is now in high school and I still communicate with his teachers via email and his grades stay up when I do that. He hasn’t complained at all. Keep involved at all times and grade levels. Ugh. I get your point, and I truly agree with your point, but the entire issue is far more nuanced, and simple all at the same time. If you want to say that you feel like our society is going to hell in a hand-basket, as evidenced by unruly, poorly educated kids, that’s fine. Just understand that the older generation of every era of human history has held this belief. If you think that the US education system is really that bad, then you need to look at the recent study out of one of the Stanford graduate schools that indicates if you remove PISA results of the most impoverished in the USA we perform at or above our international counterparts. And it’s not as simple an issue of teachers unions, or bad teachers, or NCLB, or testing culture, or…pick your pet peeve. Yes, this is an issue of parenting, but not in the simple fold that you note. Ask any ECFE (Early Childhood and Family Education) educator and they will tell you they rarely, if ever, meet a parent who does not want to do right by their child. Some adult care-givers just don’t have the luxury to be as involved as you might imply. This doesn’t mean give up on these kids or families. The question becomes, how do we get the needed tools in the hands of these families? I love what you want to accomplish here, but please, please, please, if we’re going to educate parents as to what’s out there, let’s do it responsibly.